Home/How To Choose Furniture Items Like A Pro? Choosing home furniture items can be a lot of fun – and also kind of a nightmare. It can be difficult to find useful, comfortable pieces that reflect your personal style and combine to create a cohesive interior. You also likely won’t want to throw everything out, and that brings about the question of which pieces to keep, reupholster, or otherwise modify to fit with the look of your room. In short, choosing furniture requires consideration of a number of both practical and aesthetic factors. The first factor in deciding whether a piece of furniture stays or goes is its function. 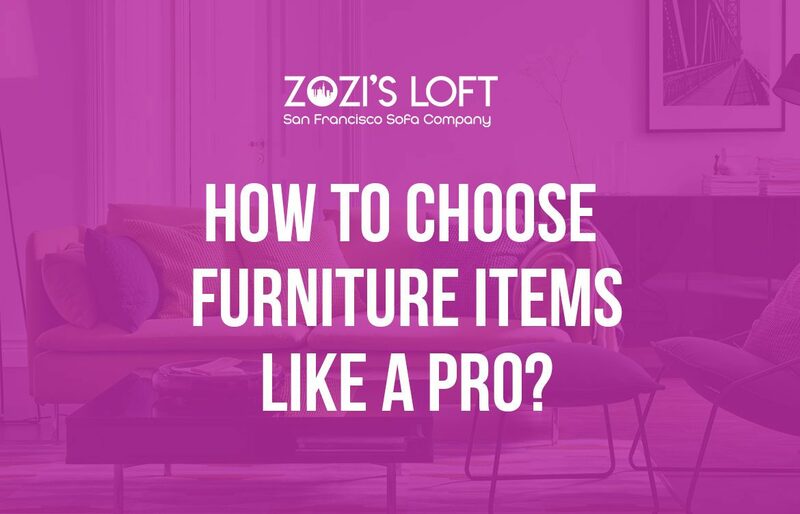 Ask yourself what furniture is needed – the different activities carried out in a particular room require specific furniture (beds for bedrooms, seating for a living room, etc.). Consider each person in your home – does one person love a cozy lounge chair? Do you need extra storage for all of your children’s toys? After thinking about those basic questions, pay special attention to the following aspects. Each room or space of the house has specific uses and therefore needs specific furniture. These spaces are organized according to their activities: the dining room to eat, the living room to rest or as a meeting place, the bedroom to sleep, and so on. If you’re starting to make your list of furniture, start by deciding what type of furniture you need depending on the room and thinking about alternatives. For example, you can opt for bedside tables in your sleeping area or go a different route. You might want to hide the TV away or not want one in your bedroom at all or desire a reading area with a cozy seat and good lighting. Of course, everything is also subject to the square footageyou have in each room. In this bedroom, it was decided not to include any bedside tables, and instead use both sides to place some very personal objects, such as favorite books (which can also function as a table) and a lighting reflector, which could indicate the inhabitant’s love of photography. This room perfectly shows the personality and passion of the people who live here with just a couple of pieces smartly placed in an otherwise austere room. An environment, such as a bedroom, has different needs according to those who use it. One person needs a single bed, whereas a kids’ room for two brothers will need two single beds or a bunk bed.Needs can also get more specific. The kids’ room for siblings may require two night tables or a larger surface for studying. Thus you can customize the list of furniture needed for your project. It is important to stop and think what your family really needs, and how to resolve the issue of your home furniture to make day-to-day life more comfortable for everyone. In order to carry out certain activities, some complementary furniture pieces are also needed, such as storage pieces, which are essential to maintaining order. A room may need a large library if its inhabitants are book collectors, or perhaps a desk, a table for a computer, a TV cabinet, and so on. In a dining room, you can choose to place a cabinet for utensils that are not stored in the kitchen, such as fine tableware and cutlery, glasses, etc. Once you’ve defined what furniture is needed, size and shape come into play. Practicality, aesthetics, style and the space available should be considered. Practical considerations are directly related to the furniture’s function, although specifications for each piece should be defined – for example, how many drawers are needed in a chest of drawers? How many guests will the dining table need to support? Plastic considerations (aesthetics) are related to the integrated space design. For example, if the furniture will be straight or curved, if space requires tall or low furniture, etc. Finally, as mentioned above, space determines the size of the furniture and also the distribution of the same. The different pieces of furniture have to always be related to space before buying them. Check to see if their sizes are appropriate for the overall design – for example, a sectional may not be the best choice for a small living area. Also, the physical space of the room and the ways furniture can be placed need to be considered, such as the size of a window or proximity to a door. Finally, the materials that pieces of furniture are made from should also be considered, as this will be essential in determining their longevity and proper integration into the decorative style. Furniture must be made of a material that suits the use. Some materials are harder and more durable, like wood and certain upholstered fabrics, and others are more delicate. A lacquered table has a luxurious look but won’t stand up to family dinners over time without a lot of maintenance. In this case, hardwood or laminate is the best option. Something similar happens with fabrics: a faux leather chair is suitable for heavy use and easy to clean, while chenille is always delicate and easier to stain. The warmth of wood, the modernity of lacquer, or the coldness of marble must be integrated into the general style of the project. Materials and textures speak for themselves, and the integration and combination of materials (such as floors, fabrics, and curtains) should be taken into account. Keep in mind that every piece of furniture you like isn’t necessarily the right fit for your home. Keep function, durability, necessity, and aesthetics in mind when shopping. Of course, the most important thing is that you enjoy your furniture, but balance affinity with objectivity and look at the space, measure your room and furniture pieces, and evaluate what you already have before you throw everything out. 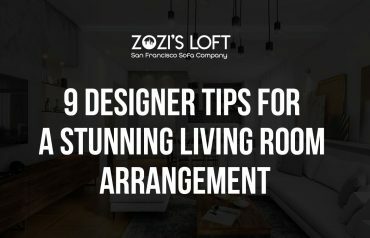 By keeping these things in mind, you can easily create a great-looking space that complements your lifestyle.